I would like to receive occasional information and updates from Rawlinsons - Fundraising for Breast Cancer Now and jumblebee. Thank you for taking the time to visit our auction, part of an effort to raise £60,000 for Breast Cancer Now in memory of Penny Rawlinson. We lost our Mum to breast cancer last year. She was diagnosed with breast cancer in May 2015. She underwent 9 months of chemotherapy, surgery and radiotherapy, sustained by her characteristic courage and good humour. She was given the 'all-clear' and returned to work in September 2016 as a housemistress at the Cheltenham Ladies' College for a final year before retirement. She was enjoying being back with the girls, whilst she was also looking forward to all the new opportunities that retirement would bring. But, on 3rd May 2017 she was told that the cancer had returned, and six days later it claimed her life. There are no words to describe what she experienced, or what we went through with her. We want to raise as much money as possible for research into the cruel disease that robbed her of so much that she had to look forward to and that took her from us so prematurely. We believe that supporting Breast Cancer Now is the best chance we have of ensuring that in the future, no one will have to experience what she did. 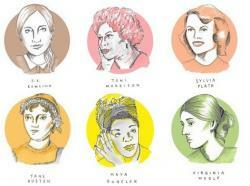 One in eight women in the UK will face breast cancer in their lifetime. Every 45 minutes, another woman dies from the disease. This disease affects everyone, everywhere. 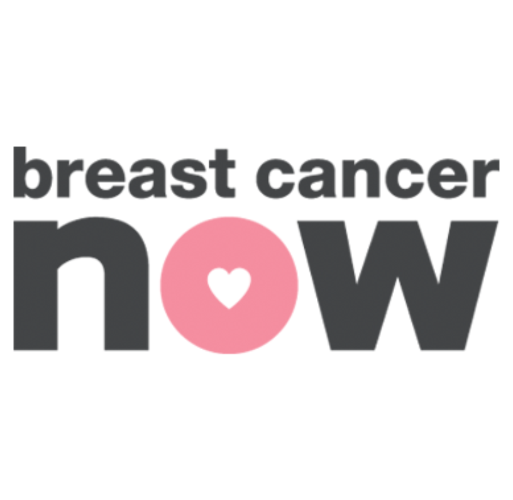 Breast Cancer Now is the UK's leading secondary breast cancer charity, which is an area of research that we believe is underdeveloped and under-supported. It focuses its research on prevention, early detection and diagnosis of secondary breast cancer. Breast Cancer Now’s aim is that by 2050, everyone who develops breast cancer will live. We have now also made this our aim. We believe their research is crucial if we are to fight breast cancer and stop this cruel disease taking lives. 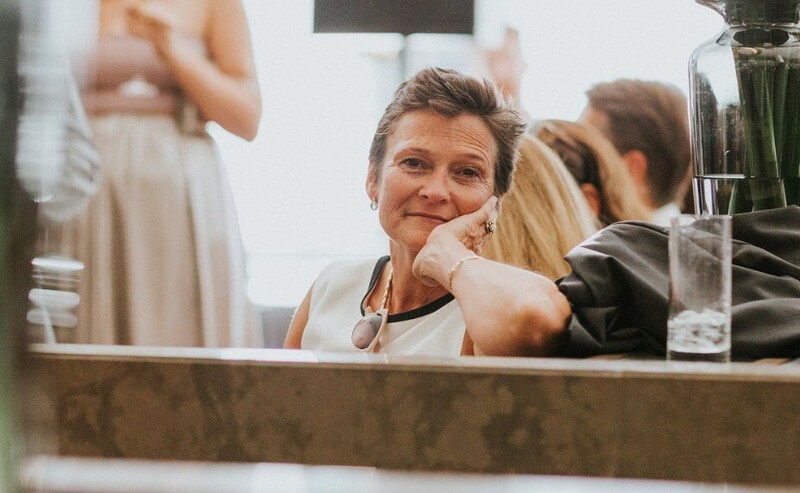 Mum would have been 60 on the 20 October 2017, which in an extraordinary coincidence was also breast cancer awareness day. Hence, we have set ourselves the goal of raising £60,000. We hope that you will support us in our mission. This auction is one of several fundraising initiatives we have undertaken. In April we will run the London Marathon and, through the generosity of friends, family and those who don’t know, we have already raised over £15,000. See our fundraising page here. The lots for this auction have been donated by our fantastic supporters and every penny we raise will go to Breast Cancer Now. We have had some incredibly generous donations and we think that there are some great prizes up for grabs. So please treat yourself, and give to something worthwhile in the process. The auction will run from our Valentine's Day fundraising party until after the Marathon. We hope you will support our cause generously. Finally, we are very grateful for the support of Papier, home of personalised cards, stationery and invitations, who are supporting us by covering the costs of running the auction. As a result we are proud to say every single penny is going to Breast Cancer Now. Our mum loved Papier and was a frequent customer, as are all the Rawlinsons, so it means a great deal to have their support. The Climbing Blossom Dress combines delicate pastel floral embroidery with sparkling embellishment. This elegant knee-length dress in dove grey has a flattering mid-length sleeve and the tiered detailing on the decorated skirt gives a playful fullness to the silhouette. 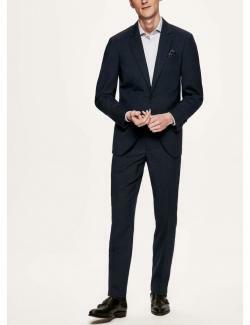 The signature grosgrain ribbon detail at the waist completes the look. 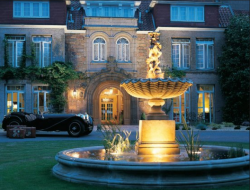 Enjoy two nights at Longueville Manor, a 5 star luxury restored manor in Jersey. This includes breakfast on both mornings of your stay and dinner one evening so that you can make the most of the exceptional dining experience that Longueville offers. Longueville is the most highly acclaimed hotel in Jersey with fantastic food, a boutique mini spa and spectacular gardens. Sitting at the foot of one of Jersey's most beautiful valleys, the 18 acre estate offers wonderful woodland and coastal walks for you to explore and a welcoming fireside for you to curl up in front of back at the manor. You can also enjoy the hot tub, outdoor pool and spa treatments offered at the estate's boutique spa. This is the perfect spot to escape to for a weekend of true relaxation. Use of 2 x Club Level Season Tickets for any home game. Enjoy a free drink at half time (beer, wine, soft drink and tea or coffee) and watch some of the best footballers in the country. A la carte dinner at Holland Park's neighborhood restaurant Six Portland Road. Price includes one bottle of wine provided by an aspiring sommelier. Les Mis is a global sensation. It has been seen by more than 70 million people in 44 countries and in 22 languages around the globe, and is still breaking box-office records everywhere. The original London production celebrated its 30th anniversary on 8 October 2015, making it the longest running musical of all time. This is a unique opportunity to take your own piece of Les Mis history home with you by getting a copy the songbook personalised by one of the show's biggest stars. 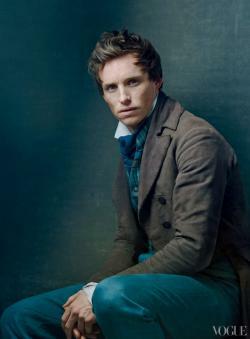 Eddie Redmayne, who played the fearless student Marius in the 2012 film directed by Tom Hooper, will add a personal message of your choice, making it a one of kind piece of memorabilia. Established in 1886, The Queen’s Club was the first multipurpose sports complex ever to be built, anywhere in the world. 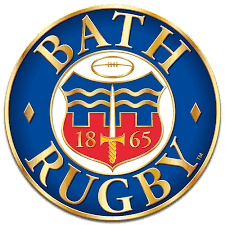 Today it is one of the most iconic and exclusive sports clubs around. As well as world class tennis facilities, the Clubhouse has a number of areas where you can relax and unwind. The Members Café is the hub of day to day life and you can sit back and observe the goings on around you while you enjoy tea and cakes with a friend. Subject to certain black out dates & not valid on Sundays unless by prior arrangement. On turbulent seas, an inescapably transient pirate ship braves black waters, leagues deep in mystery. Black Phantom “Memento Mori” reveals its hidden treasures to the curious nose in waves. Rum accord from Martinique, akin to ‘pirates water’, spikes the scent of strong coffee at its heart, balanced by vetiver essence. A deadly bite of cyanide accord hides menacingly, like the smile from death itself. Smile back as sugar cane and dark, creamy sandalwood assures a trying journey holds a sweet reward. 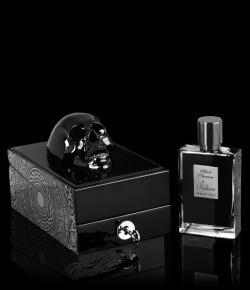 This designer perfume comes in a special display box & is guaranteed to get you noticed in any room. This modern town house sleeps 6 and is conveniently situated in the centre of Southwold, making it the perfect base for exploring the jewel of the Suffolk coast. With its sandy beach, pier and beach hut-lined promenade, Southwold offers a wonderful environment for weekends away, as well as a thriving market town atmosphere. There are few seaside towns quite so quintessentially British. Food and drink are an integral part of the Southwold experience. There are a wealth of good local pubs, all serving a variety of Adnams beers (the brewery is in the centre of town and is well worth a visit), as well as some excellent sea food restaurants. The Sole Bay Fish Co is a must, serving freshly local caught fish from their own boat, as well as lobsters, oysters and a selection of shellfish. 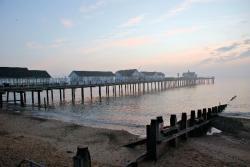 To get to Southwold, take the train to Darsham from London Liverpool Street then take a taxi. The journey takes just 2hrs and will fly by with the help of a G&T or two. Dates to be arranged during 2018. Varana believes that the components of true luxury are time, mastery and culture. Combining influences from the west and the east, Varana exemplifies discreet and confident luxury through fine custom-designed fabrics, beautiful cuts and considered details. This 100% silk shirt is soft on the skin and in this sought after designer's signature, modern cut. It will be a staple of your wardrobe for years come, helping transition seamlessly from the office to drinks or dinner in style. This shirt retails at Harrods and at the brand's flagship Dover Street store for over £300. G.H. Mumm & Cie's lineage traces back to in the early 12th century, but today it is one of the largest Champagne producers worldwide and is famous for its red ribbon, which pays homage to the French Grand Cordon of the Légion d'Honneur. The official champagne of F1 racing, Yachting's Cowes Week on the Isle of Wight and now promoted by Usain Bolt, you'll be in fine company when you pop the cork on this outrageously large bottle (Methuselahs are 6 litres of champagne and are equal to 8 standard champagne bottles). Of course, size isn't everything and this champagne delivers on the palate too. Consistently rated as 'outstanding' by wine critics, it is complex and traditional in style, pairing well with shellfish, crab and lobster. Kalinko is an online homeware brand. 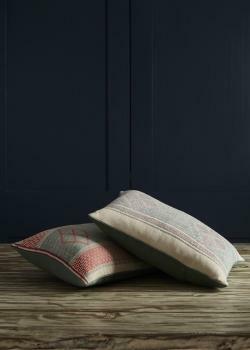 We’re from London, but live in Burma, alongside thousands of incredibly talented artisans who make things which we think you will love. It’s still very hard for these crafters to sell to you directly, so we collect their beautiful handmade home and lifestyle products, and bring you the best of what Burma has to offer. The elegant and self-assured "Paloma" is an impeccable handbag. In a lightweight design, its accordion structure features one main compartment that fastens with a concealed pull-out snap tab. It stands on a pedestal of four metal 'heels' so it never has to touch the floor, and features shopper handles that taper into elegant points- like the legs of a French cabaret dancer. Define your everyday ensembles with the glamorous "Paloma" medium style. 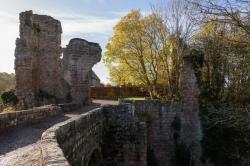 A unique opportunity to stay at the C17th Rosslyn Castle during the Edinburgh Festival. Hidden in the ancient woodland of Roslin Glen beneath the famous Rosslyn Chapel , it is easy to forget that this imposing Castle is just seven miles from the centre of Edinburgh. Rosslyn Castle is the ancestral home of the St Clair family and is generally unavailable for booking during the Edinburgh Festival weeks. The castle sleeps six people and makes a perfect base for family or friends to enjoy both the Festival and walking in the nearby Pentland Hills. This is a very special prize, which has been very kindly donated by the Rosslyns. It is a unique opportunity to stay in a truly beautiful and historic place. The Rawlinson team spent many happy childhood summers and New Years Eves here with the Rosslyns, and it is the scene of some of our favourite family memories. Luxe yet laidback, this pajama set is ready for weekend staycations or to throw in your suitcase for farflung travels. Just add breakfast in bed. It has a robe-inspired wrap top and wide-leg trousers that'll pool at the floor when teamed with flats. Style them together at drinks, or mix and match them with your favorite jeans and blouses. Set in 300 acres of beautiful countryside, The Grove is just 18 miles from central London yet offers the perfect place to relax and unwind. 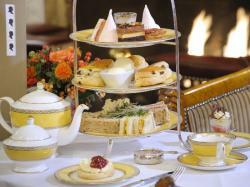 This luxury, 5 star hotel boasts three restaurants, but The Glasshouse is The Grove’s international theatre of cooking. 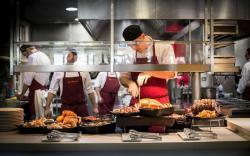 Guests can watch the chefs prepare each dish from scratch, across nine different stations – from traditional roast beef to wok stations and from seafood to tapas. Food is freshly prepared using local ingredients, including some from the Estate's Kitchen Garden. Make it a special day out by combining your meal with a round of golf on the Grove's 7,152 yard championship golf course, or with one of the many treatments offered by their luxury spa, Sequoia at the Grove. You can reach The Grove easily from london. Just take the short, 20 minutes train from London Euston to Watford Junction, then it's a 10 minute journey by taxi from the station to The Grove - either jump in a cab outside the station or phone ahead and they can arrange for a private car to meet you. This is a unique opportunity to see behind the scenes at the home cricket & to get to know one of the legends of the game, Michael Atherton. Three of you will get a personal tour of the Lords pavilion & grounds with former President of the MCC John Barclay, giving you an insight into the history of the game & current thinking of the sport's governing body. 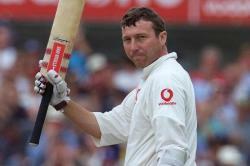 After this, you will head to a local restaurant to sit down for lunch with former England captain Michael Atherton. Ever wondered what it was like facing Alan Donald's ferocious bouncers during the fourth test at Trent Bridge in 1998? Or what goes on in the commentary box when the Sky Sports cameras are facing the other way? This is your chance to find out, while enjoying a lovely a glass of Chablis. 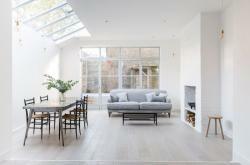 Domino Location House is a Victorian house in South West London, available for hire for photoshoots and filming. If you're a product or business owner, this is a unique opportunity to present your brand in a modern, stylish environment & generate some beautiful imagery. Dates subject to confirmation. Weekdays only. “The Beach Residence at Carlisle Bay” is set in lush tropical gardens in the world acclaimed luxury resort of Carlisle Bay on a perfect Caribbean white sand beach in one of the most beautiful bays in the Caribbean. Facing south west, it is surrounded by emerald green tropical rain forest hills and National Park with nature trails. 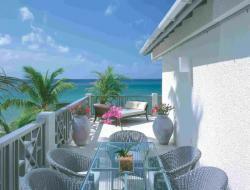 “The Beach Residence” is an owner’s private suite with prime position on the beach. It is one of only four double suites classified as Carlisle Suites. This fabulous suite (222 sq m or 2, 400 sq ft) has three spacious bedrooms with magnificent en-suite bathrooms. The master bedroom and drawing room feature dramatic 15 ft (5 m) high cathedral ceilings leading on to a 400 sq ft (37 sq m) terrace overlooking the beach at the centremost point of the bay, with a wooden staircase directly to the white sand and turquoise waters below. The master bedroom and drawing room have the latest HD large screen tvs and wifi. Air conditioning is throughout. Each of the three large double bedrooms has a stately ensuite bathroom with substantial shower area and family sized bath. “Caribbean Cool Kids Club”, open seven days a week, is suitable for children aged six months to six years and is supervised by qualified childcare professionals and has its own paddling pool, sand pit and jungle gym. It is free for children over 2 and $15 per hour for children from 6 months to 2 years. Carlisle Bay is 30 minutes through the rain forest mountains to historic English Harbour and the restaurants of Falmouth Superyacht Marina and a mere 15 minutes along the stunningly beautiful coast road to Jolly Harbour resort with its shops, restaurants and bars and Epicurian Supermarket, equivalent to Waitrose in England or a leading markets in the US. Guests of “the Private Residence” have full use of all the hotel and beach facilities including two outstanding restaurants, “East” and “Indigo on the Beach” and the new beach restaurant, three great bars, the exceptional Blue Spa, a host of water sports, nine tennis courts (two floodlit), luxurious screening room, fully equipped gymnasium. The spa has six treatment rooms, personal training, yoga, pilates and a hair salon. List rate £2k per night in high season. Men's suit (of the bidders choice) from the Hackett store on Regent Street, plus fitting with one of their tailors. Whether you want to build some new skills or improve your technique, there's no better way than through private tuition from a talented young personal trainer. Based in East London, Daisy slides between yoga, calisthenics, functional training, barre and parkour. She loves yogasana and rocket, dynamic vinyasa, with lots of tests for the ego, inversions or your version of an inversion. With a background as a personal trainer Daisy particularly enjoys supporting less 'flexible' students and her ethos to training can be summed up via the definition of calisthenics: exercises to improve bodily strength and grace of movement, derived from the greek words 'kalos' meaning beauty and 'sthenos' meaning strength. Sessions to be of your choice. From Darren's Ryder Cup Captaincy year, this driver is top of the range and has been signed by the man himself. It was previously purchased by Victor Dubisson, the French professional golfer also of Ryder Cup fame, expressly to be donated to a worthy cause & is almost certain to knock some shots off your handicap. In the interests of full disclosure, Darren's signature is slightly smudged. But the story is still the same! 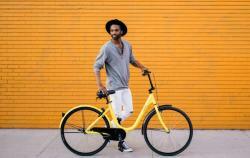 Thousands of bikes at your disposal - a year's subscription to Ofo, the UK's most cutting edge bike sharing platform. 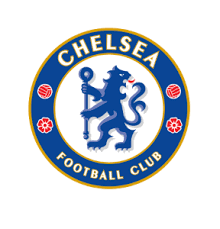 Two tickets to any Chelsea home match. This incredible offer includes Champions League matches. Andy Murray is a three-time Grand Slam tournament winner, two-time Olympic champion, Davis Cup champion and the winner of the 2016 ATP World Tour Finals. All this makes him the most successful British tennis player of all time. He is also a Scot, which makes it all the more remarkable that he has willingly parted with a potentially valuable possession: a signed tennis shirt off his very own back. Wearing this shirt will help you channel our nation's greatest tennis star, helping you impress with your improved defensive baseline play & low groundstroke error rate. This lot includes privately catered canapés and three course meal for six in your own home by Pop up restaurant and events caterer ‘Pan’. 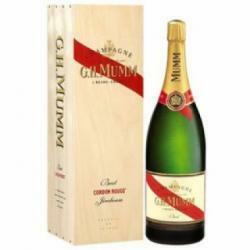 A bottle of Pierre Gimonnet Champagne is also included. Dougy, Head Chef, will design a ‘Pan’ style menu to suit you. 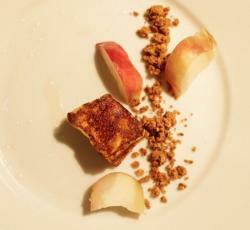 His Menus are based on seasonality, with a strong focus on Game and Fire. He fuses British, Scandinavian and Brazilian cuisine with Smoke and Fire. Dougy will happily help you choose complimentary wines for your meal, to enjoy after your bottle of champagne. Valid for 1 year. Not valid for bank holidays. Please book in advance to avoid disappointment. 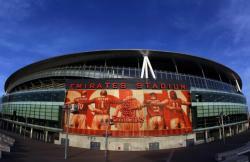 Transport to London address included, dinner at address further afield can be organised but transport costs will apply. SVITLAYA is a new brand created by Svitlana Golovchenko, who focuses on creating feminine silhouettes that are comfortable for a modern woman, embroidery and natural fabrics. Her dresses are flirty, yet sophisticated - and this is one is no exception. A unique piece that is not available for purchase online, it is made from deep blue linen with multicolour embroidery. 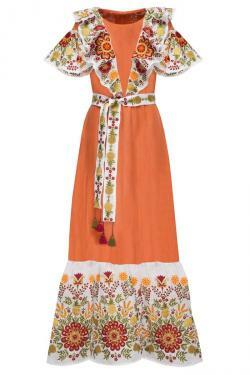 The cut & needlework are inspired by the traditional Ukranian Vyshyvanka dress & folk patterns, but are updated with modern techniques. Colour: Actual dress is dark blue, in same style as dress shown. Actual photos to follow. a gift for someone special. You will receive a fully digital working file ready for print. Emily, a freelance graphic designer based in Surrey, has over 55k followers on her blog (http://reviseordie.com) and has been featured by the likes of Buzzfeed & Cosmopolitan. 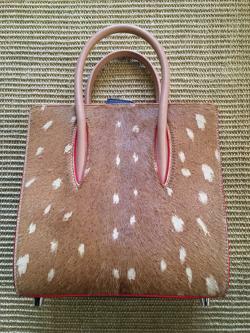 High quality leather handbag from London's iconic brand. The timeless sophistication of the Lottie bag is all in the details. The exterior is hand-crafted from the finest saffiano textured Italian calf leather, while the interior features a beautiful shimmering grosgrain lining. The compact main compartment is thoughtfully arranged for your essentials, with an open pouch for your mobile phone and a zipped pocket for cards and keys. The metal and leather plaited chain of the cross-body strap adds a striking touch  simply double up to wear elegantly on the shoulder for cocktails and dinner. A classic letterbox closure keeps the bag securely fastened. A classic investment piece. 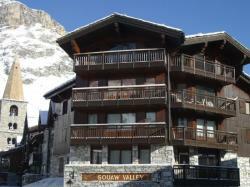 1 week in a luxury Squaw Valley flat, located slope-side in Val d'Isere village, in the middle of l'Espace Killy. Provides access to one of Europe's finest skiing areas, suitable for skiers of all abilities. Snowboarders also permitted. Choose a week between January and March 2019 (subject to availability). Sleeps 8 adults comfortably with four bedrooms and four en-suite bathrooms. Perfect for two families or a group of friends. 3 course meal, 1 bottle of wine and coffee for 2 guests. To be used by 29th Jan 2019. 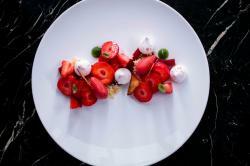 Re-live the excitement of Anthony & Maia's wedding reception with this meal for two at Skylon. Situated on the first floor of the Southbank Centre, Skylon offers stunning views from huge floor-to-ceiling windows & is the perfect location for a romantic tete-a-tete. The main restaurant features modern British cuisine from Executive Chef Kim Woodward, while the grill offers more informal cooking and a relaxed atmosphere. The two dining areas are separated by a stunning centerpiece bar, which is renowned across London for its fabulous cocktails. The versatile sea foam pom pom scarf is just as perfect wrapped as a sarong on balmy beaches as tied to keep out the cold, and the soft linen and silk is yarn-dyed to ensure the colour will never run. Edging the scarf is 250 individually hand-tied pom-poms. The gorgeous hammered bar bracelet will update any holiday wardrobe. The patron saint of travellers, St Christopher, is beautifully presented on a gold-plated disc; completely swimmable and fixed on a chic olive adjustable band. Completing this gift box is Heidi Klein's signature parfumier-created Coconut Beach candle, beautifully evocative of tropical beaches and faraway islands. Made from virgin beeswax, which ensures a slow burn and maximum fragrance release, the Coconut Beach fragrance is made from a blend of coconut, jasmine, marine and vanilla.